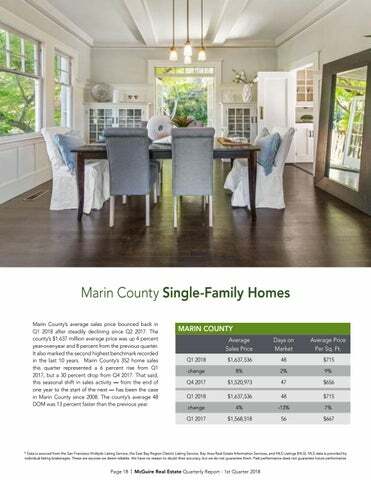 Marin County Single-Family Homes Marin County’s average sales price bounced back in Q1 2018 after steadily declining since Q2 2017. 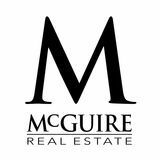 The county’s $1.637 million average price was up 4 percent year-over-year and 8 percent from the previous quarter. It also marked the second highest benchmark recorded in the last 10 years. Marin County’s 352 home sales this quarter represented a 6 percent rise from Q1 2017, but a 30 percent drop from Q4 2017. That said, this seasonal shift in sales activity — from the end of one year to the start of the next — has been the case in Marin County since 2008. The county’s average 48 DOM was 13 percent faster than the previous year.